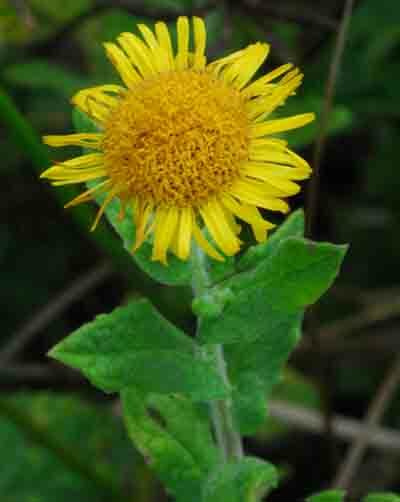 Welcome to Quoditch Moor Nature Reserve in September. The warm weather and the rains have helped to keep the field green. Even though it is being grazed the fresh grass is coming through. But if you look closely at the reeds you can see that they are starting to brown. The first sign of Autumn that you'll see is the Hawthorn tree alongside the gate. The berries are nearly ripe. But for once the gorse isn't in flower! This is Water Pepper (Persicaria hydropiper - polygonaceae) which can be seen growing in clumps around the field. 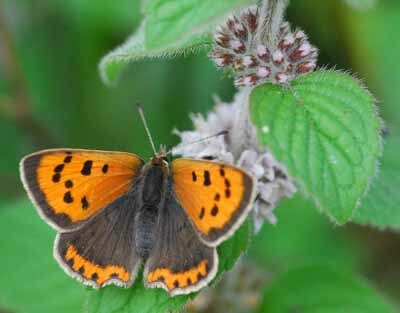 In 2006 it was visited by many Small Copper Butterflies. The star sedge makes a good home for a spiders nest. The rotten wood in the corner of the field is a good breeding ground for the lichen. Thank you for visiting - Do come again soon.